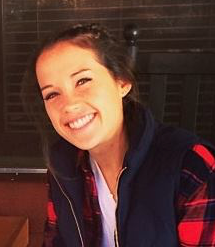 Avery Armstrong is beginning her third year of coaching for Hotlanta Lacrosse. Avery began her lacrosse career at Kell High School, where she was a four year letterman and team captain. Avery continued her lacrosse career for one year at Converse College for one year and then transferred to Shorter University where she completed her eligibility. While at Shorter, she was voted Most Value Player, received an All-American 1stTeam and All South Regions nods. Other coaching experiences include various camps and clinics that ranged from beginner to select experience levels. Alex started playing lacrosse when she was in the 5th grade and absolutely fell in love with the sport. Specializing in low attack, shooting, and assisting, she grew up playing on her local feeder team and playing club with Hotlanta since she was in 7th grade. A Roswell High School graduate, Alex was recruited to play Division III Lacrosse at Birmingham-Southern College in Alabama. Unfortunately, after tearing her ACL for the third time a year ago, she has decided to retire from college lacrosse. Entering her senior year at Birmingham-Southern, pursuing her Bachelor's degree in Business Administration, with a focus in Marketing and a Spanish minor. Alex enters her third season coaching with Hotlanta. When asked about her expierence she said "Hotlanta helped shape me into an amazing player and I am honored to be able to coach with the program that taught me so much." Faith is the former Head Coach of Lassiter High School for the past twelve years. Faith stepped down as the head coach this year to concentrate on her administrative position in the school system. During her time at Lassiter, Faith served as the Head Junior Varsity Coach for four years and then was promoted to the Varsity Head Coach position. The Trojans were State Semi-Finalists in 2008 and 2009 and State-Runner Up in 2010. Faith was named Cobb County Women's Lacrosse Coach of the Year in 2008, 2009 & 2010. Faith grew up in North Carolina where she lettered in five sports in high school. 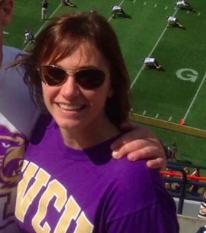 She attended Western Carolina University on a golf scholarship and is a Speech-Language Pathologist with the Cobb County School District. Kylar began her lacrosse career at Sprayberry High School where she played varisty for three years. She went on to play Division 1 lacrosse at Kennesaw State University for two years as a center midfielder. During that time she was named to the Atlantic Sun All- Academic Team her sophomore year. Her junior and senior years she played KSU Club Lacrosse and will graduate in the fall with a Business Degree in both Finance and Economics. Kylar has GHSA Community Coach Certification, US Lacrosse Level One Certification, and Positive Coaching Alliance Certification. She has coached youth lacrosse from U9 through U15 for three year at the Marietta Athletic Club; high school lacrosse for two years at the Walker School; and JV Lacrosse at Kell High School for one year. SHe is currently the Head Coach at Life University. This will be her third season coaching for Hotlanta. Lauren graduated in 2009 from Harrison High School where she lettered as a four year student athlete as a midfielder. Lauren went on to play Division 1 lacrosse at Fresno State in California. Lauren played all four years at Fresno State as a starting attack player. College accomplishments include IWLCA Academic All-American, Scholar Athlete - Mountain Pacific Sports Federation and IWLCA Community Service Awareness Award. In 2013, Lauren was a Local Development Officer for English Lacrosse, based in Newcastle England and was the Head Women's Lacrosse Coach at Northumbria University, as well as the Assistant Women's Lacrosse Coach at Newcastle University. Lauren was a coach and member of the Newcastle Knights Club Team. She was a Level 2 FIL coach certified and Level 2 FIL umpire certified. Lauren received her Master's at Aubirn University while coaching their club team. Currently, she is the community coach for Centennial High School. Laura Dawson is from Annapolis, MD and graduated from Broadneck High School in 2009 where she played varsity lacrosse for 3 years. Laura went on to play Division 1 lacrosse at American University. She played all four years as a starting defender. Her college accomplishments include All-Patriot League First Team and Patriot League Academic Honor Roll. Laura previously coached for Maryland United Lacrosse Club before moving to Georgia. Miranda is a Slippery Rock University Alumni and has her Bachelors in Health and Physical Education. She played for Defense for the Rock all four years she spent there, but has been loving and playing the game for just over 14 years now. After graduating this past December, she packed up and moved down South from Upstate NY and is now currently the Assistant Women’s Lacrosse Coach at Piedmont College. She will plan to start her Masters Program in December in Special Education from Piedmont College. Nikki has been apart of Hotlanta family for the past 7 years: playing for 3 years and coaching for 4 years. She played midfield and attack at West Forsyth High School. In her junior and senior year she was All-County and team MVP. Nikki was 2nd team All-American my senior year. She continued the sport by receiving a Division 1 scholarship to Jacksonville University playing attack. While at Jacksonville she was a two-time Academic All-Conference winner. In addition, our team won 2 conference championships and played in two first round games of the NCAA Division 1 Tournament. Nikki graduated from Jacksonville University with a Masters and Bachelors in Elementary Education in May 2015. She is currently a first year teacher of 3rd grade at Kelly Mill Elementary. Having been with Hotlanta for 5 years, Patrice began her lacrosse career at McEachern High School. While serving two years at MHS she was a starting defender and senior captain. She was then recruited by Brittni Dulaney to become one of the founding member for Shorter University's first women's lacrosse team. After two years playing at Shorter, Patrice then transferred to Kennesaw State University where she played club lacrosse for the Owls as a starting attacker and Co-Head coach of the JV team at the Marist School in Atlanta. Transferring back to Shorter University for her senior year in 2014, instead of playing, Patrice took on the role of Assistant Coach for the Varsity and JV girls teams at Darlington School in Rome. Patrice graduated from Shorter University in the summer of 2014 and immediately accepted the Women's Lacrosse Graduate Assistant at Coker College where she received her masters degree in Athletic Administration. After their first Final Four appearance and first winning record for the program, Patrice accepted the head coaching position at Tennessee Wesleyan University. During her time there, TWU earned Regular Season Conference Champions, remained Top 10 in the country for NAIA, produced AAC Player of the Year, as well as 1st and 2nd Team All-Americans. After deciding that Georgia was the place her, she moved back and continues to work with Hotlanta and other high school programs in the area. Payton Fields began her lacrosse career in the 7th grade at the Baylor School in Chattanooga, Tennessee. While at Baylor, Payton was a four-year varsity starter playing midfield. She earned All-Conference honors and was named captain for her sophomore, junior, and senior years, and she earned All-State honors her junior and senior year. Payton was a Hotlanta player during the summer of 2011 and went on to play Division III lacrosse for Sewanee: The University of the South. While at Sewanee, her team made two appearances in the NCAA Division III National Championship, won the SAA Championship title twice and they had an undefeated season. Payton was named captain for her senior year and made the All-SAA Academic Team in 2013, 2014, and 2015. Payton previously coached for the Scenic City Lacrosse club team in Chattanooga and during Sewanee’s Lacrosse Summer Camps. Payton graduated from Sewanee in 2016 with a B.A. double-majoring in International and Global Studies and Anthropology. She recently moved to Atlanta where she works as an Energy Efficiency Consultant. Sarah Flatt is currently playing D-1 lacrosse for Stetson University. As a 2018 freshman, Sarah played in all but 2 of Stetson’s games this year as a midfielder and was on the second rotation line. She played high school lacrosse at Blessed Trinity where she helped lead her team to two back-to-back state championships her junior and Senior years. Sarah was named an All-American by US Lacrosse her senior year. She also received the prestigious and national Jackie Pitts award her senior year. Sarah was a three-time All State selection her sophomore, junior, and senior years. Taylor has been a part of Hotlanta for the past ten years; playing for two years and coaching for eight. Taylor played goalie at Woodstock High School, where she was Team MVP for 4 years. Her junior and senior year she was 1st Team All-state and in her senior year she was 2nd Team All- American. She then moved on to be goalie at Lees McRae for one year before transferring to Shorter University. In the NCAA Division II, Taylor was ranked 5th in saves for her freshman year. She then started in goal for Shorter University for three years and received 2nd Team All-Conference for the NAIA as well as being a part of their regular season conference championship. During her senior year she was named team MVP and made the NCAA D2 All Independent League Team. She also holds career saves record and highest save percentage at Shorter. Taylor graduated from Shorter University in May 2014 with a degree in Sports Management. 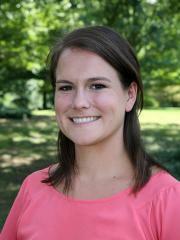 Taylor is currently the Hotlanta Club Co-Director and the Head Coach of the MS Select Program. Winnie Caetta grew up playing lacrosse in Madison, New Jersey, and went on to play Divsion 1 lacrosse at Centrsl Connecticut State University. While there, she coached for the T3 Elite Lacrosse in New Jersey for serveral years, as well as Rocky Hill High School in Connecticut. After college, Winnie moved to Cleveland, TN. 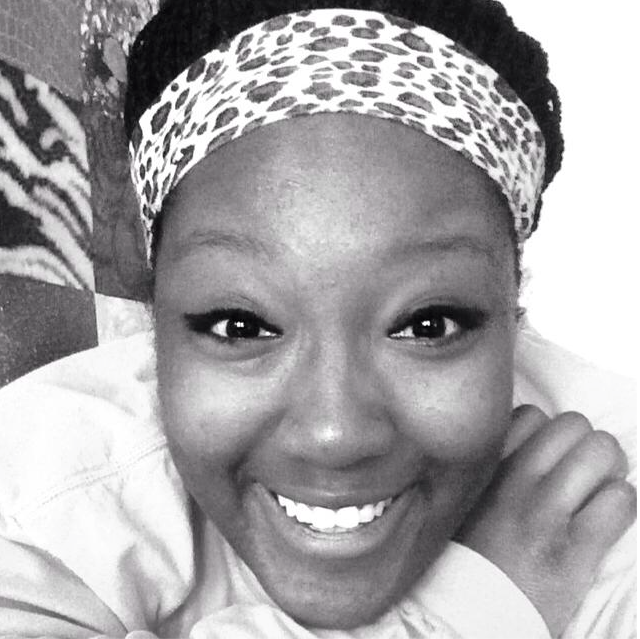 She is currently the Graduate Assistant at Lee University and is pursuing a degree in School Counseling!